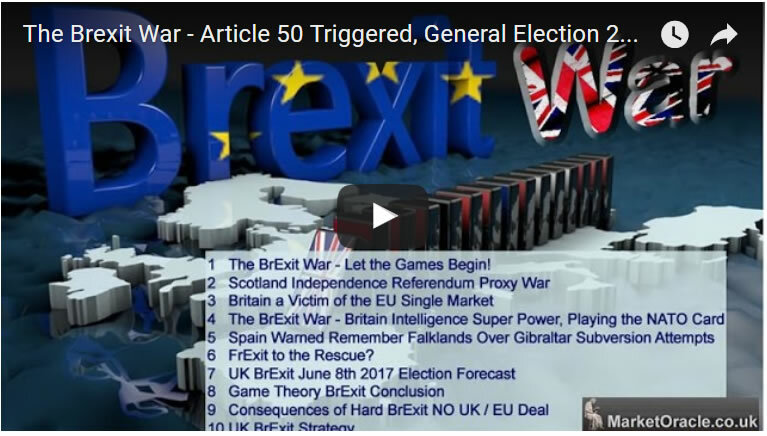 Firstly, here's a video that charts how we got here from the triggering of Article 50 to the present crisis state, a trend trajectory that has put Britain literally on the path towards civil war as parliament subverts Brexit. The campaign for a Peoples Vote was launched by Remainer MP's and celebs in April 2018, which include arch remoaners Chuka Umunna, Anna Soubry, Layla Moran and Caroline Lucas and a string of EU bureaucrats with many MP's jumping on board the 2nd referendum bandwagon in recent months such as the Shadow BrExit secretary Kier Starmer. So far not a single LEAVE voting MP has joined the Peoples Vote campaign which thus is clearly a REMOANER campaign aimed at preventing BrExit from ever actually happening. Parliaments rejection of Theresa May's worthless bill has very little to do with wanting to honour the 2016 EU Referendum. 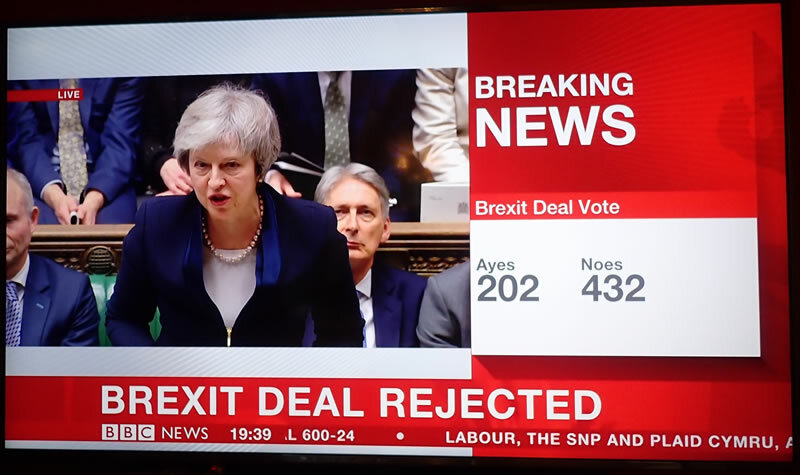 Instead the 75% REMAIN Parliament see's Theresa May's deal as a HARD BrExit and thus wants to ensure a far softer BrExit. In fact BrExit in all but name by bolting on the likes of a Customs Union and Free movement of people. Towards which there is really only one mechanism that would bring this about and that is the so called "Peoples Vote", despite the fact that the 2016 EU Referendum WAS the real Peoples Vote AGAINST the Britain's ruling establishment. The bottom line is that a 75% REMAIN Parliament has done everything it can to PREVENT BREXIT FROM EVER HAPPENING and thus an engineered 2nd EU Referendum is the most probable outcome of the current paralysis by design as a means for Britain's REMAIN establishment to ensure that REMAIN would WIN a second EU referendum through a multitude of measures and tactics such as by the way the 2nd referendum question would be worded as illustrated by the Financial Times (FT) recent video titled "BrExit: how to hold a second referendum" which more accurately should be titled "How to Fix a Second EU Referendum so that Remain Wins"
And so as I have often voiced over recent weeks that the REMAIN establishment's objective is to kick the Brexit date can down the road until a 2nd EU Referendum is held that would be FIXED to ensure that REMAIN wins. Which would require Article 50 to be extended so that the BrExit date is extended by between 6 and 12 months that the EU in recent weeks has signaled it's willingness to do so. Whilst my consistent view since Article 50 was triggered in March 2017 is that Britain is on a trend trajectory to LEAVE the EU without an Exit Deal that Parliament is clearly seeking to prevent. The remain establishment effectively destroying democracy by deliberately seeking to subvert BrExit has put Britain into a pre-civil war state, where a fixed 2nd EU referendum would ignite the march of millions of angry LEAVE voters into the arms of right and left wing extremists, the likes rump UKIP, and far worse who would promise those who voted LEAVE the message of Britain being INSTANTLY able to LEAVE the EU, which perhaps would at least trigger a split of the Tory party. 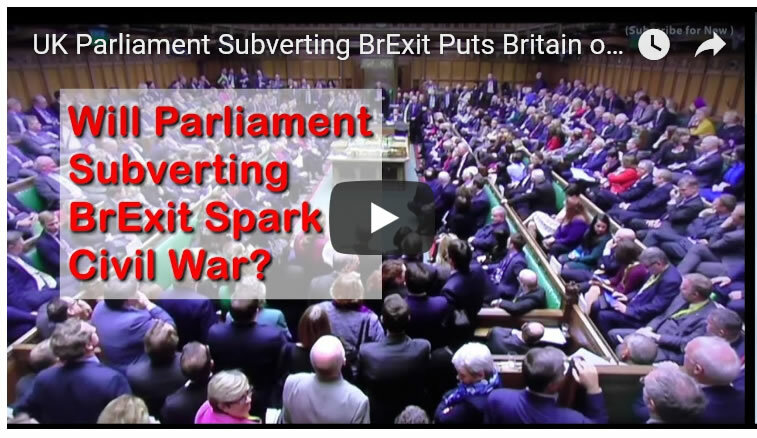 Thus today's remoaners in Parliament are effectively sowing the seeds for the destruction of Parliaments authority where as many as 15 million people would no longer recognise Parliaments authority after the subversion of their 2016 vote to LEAVE the EU, where instead a blatantly FIXED second EU referendum is being engineered that would open pandora's box. For first Access to ALL of my analysis and trend forecasts then do consider becoming a Patron by supporting my work for just $3 per month. https://www.patreon.com/Nadeem_Walayat. Well done Nadeem! I couldn't have put it better: except for paragraph 4 sentence 3: "In fact BrExit in all but name by bolting on the likes of a Customs Union and Free movement of people." What you mean is "Brexit in Name Only", because Free Movement of People, and remaining in a Customs Union, all subject to the EU Court of Justice, is not Brexit!